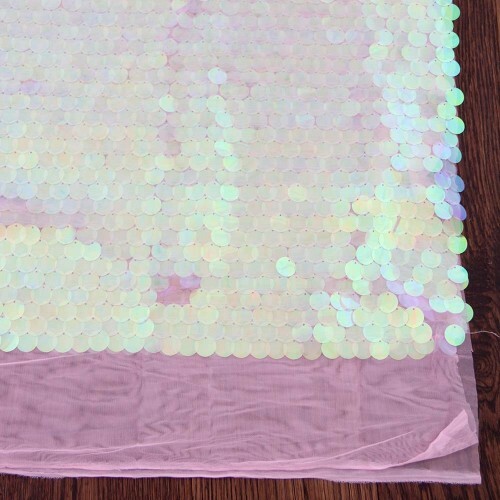 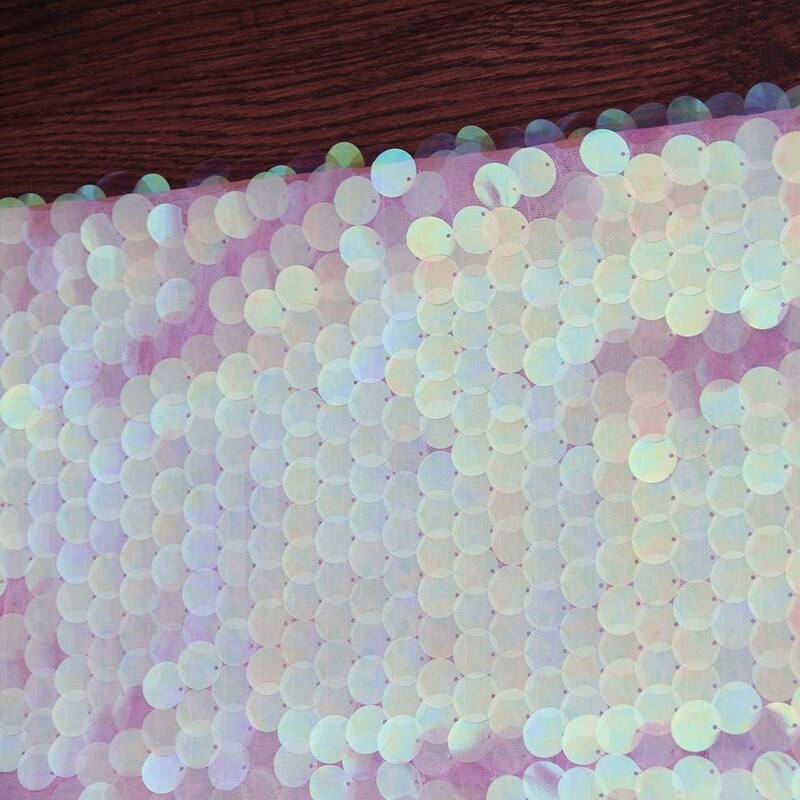 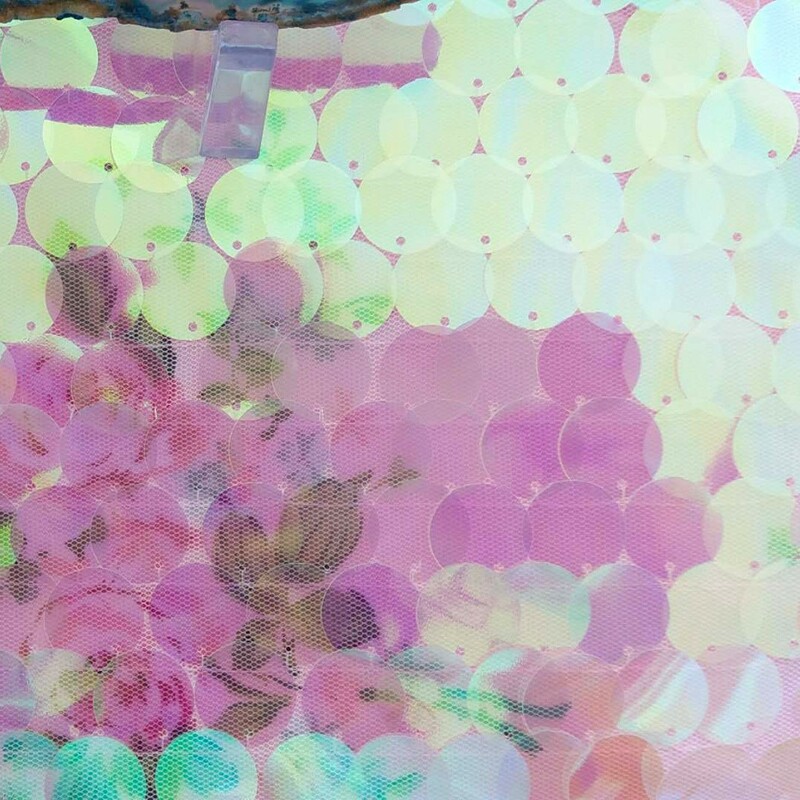 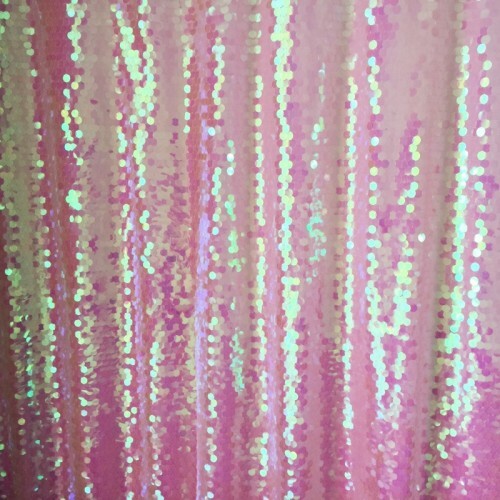 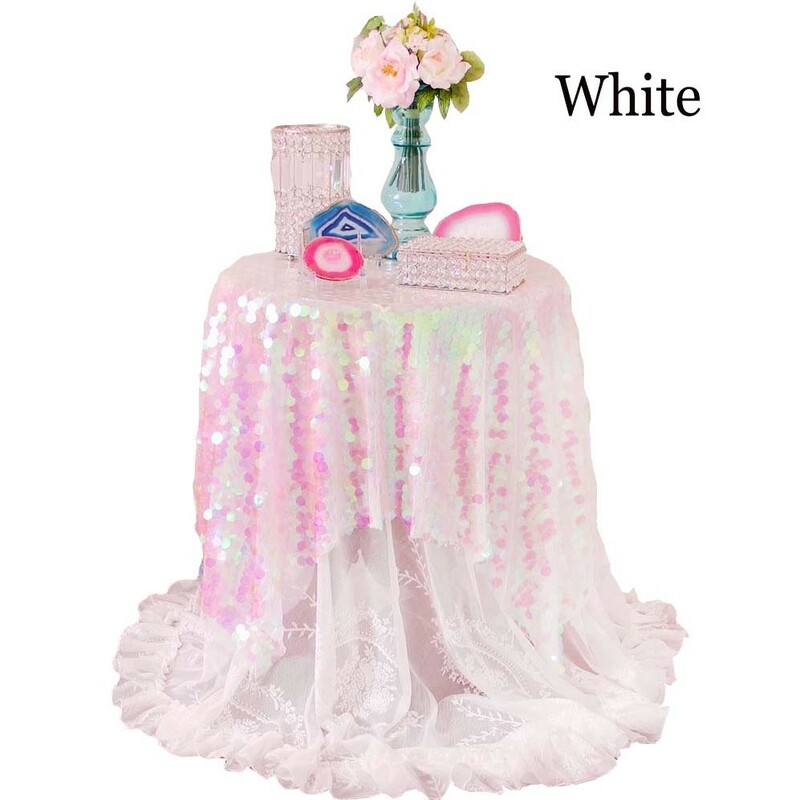 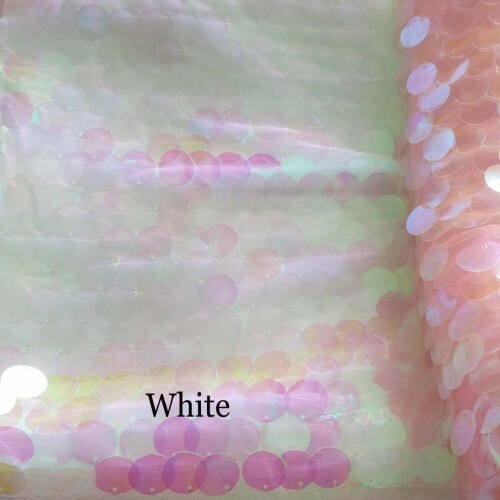 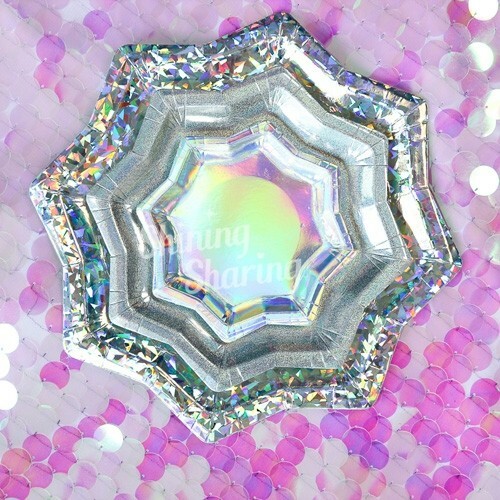 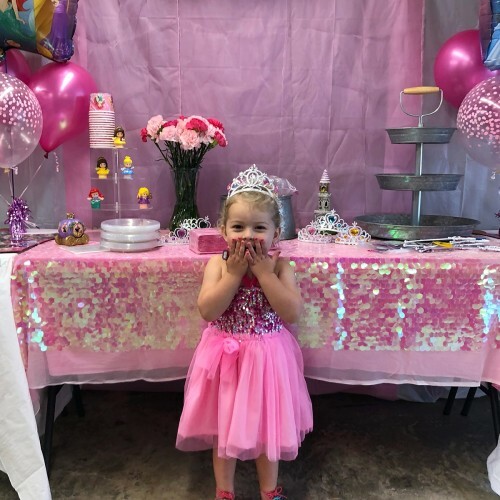 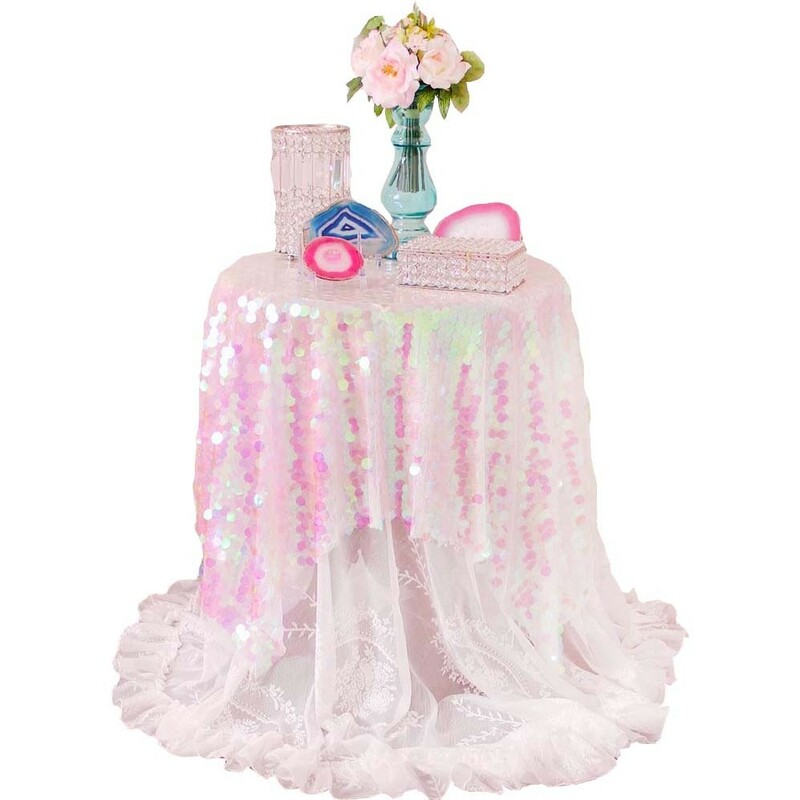 This sequin fabric can DIY anything That you want, for example, tablecloths, drape, table Runners, curtain panels, costume, dress, photography backdrop handbags etc. 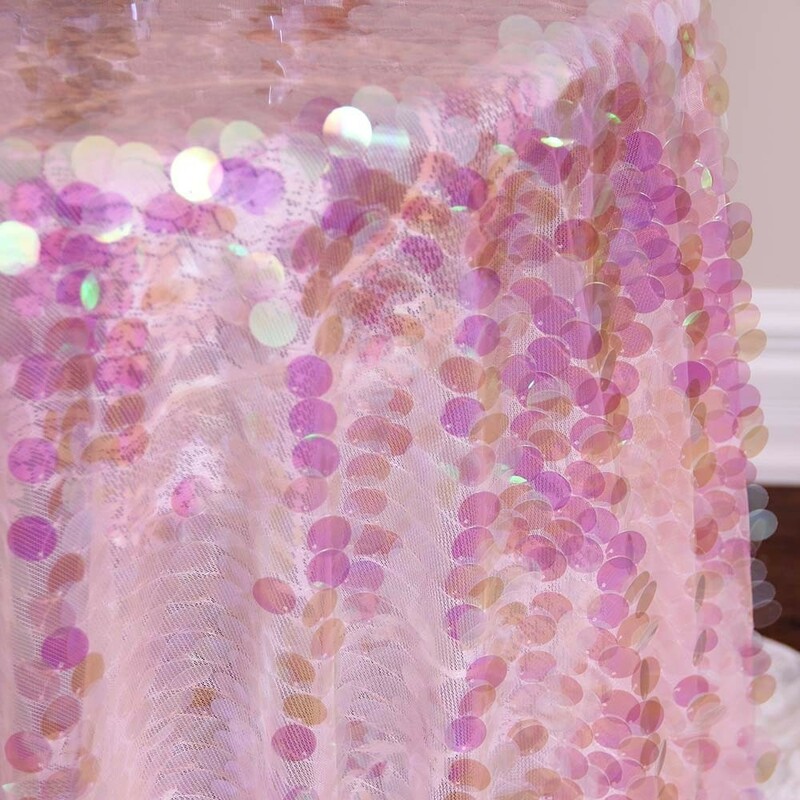 Sequin fabric is perfect for adding a touch of glamor to your event or wedding. 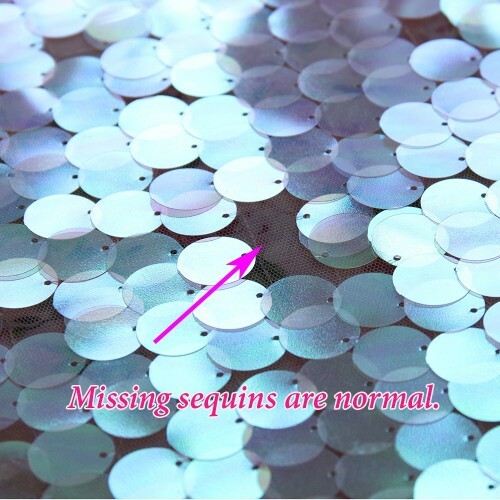 Some sequins do fall off. It is normal and not a quality issue. Fabric width is approx 55" with additional few inches of empty space on two sides. 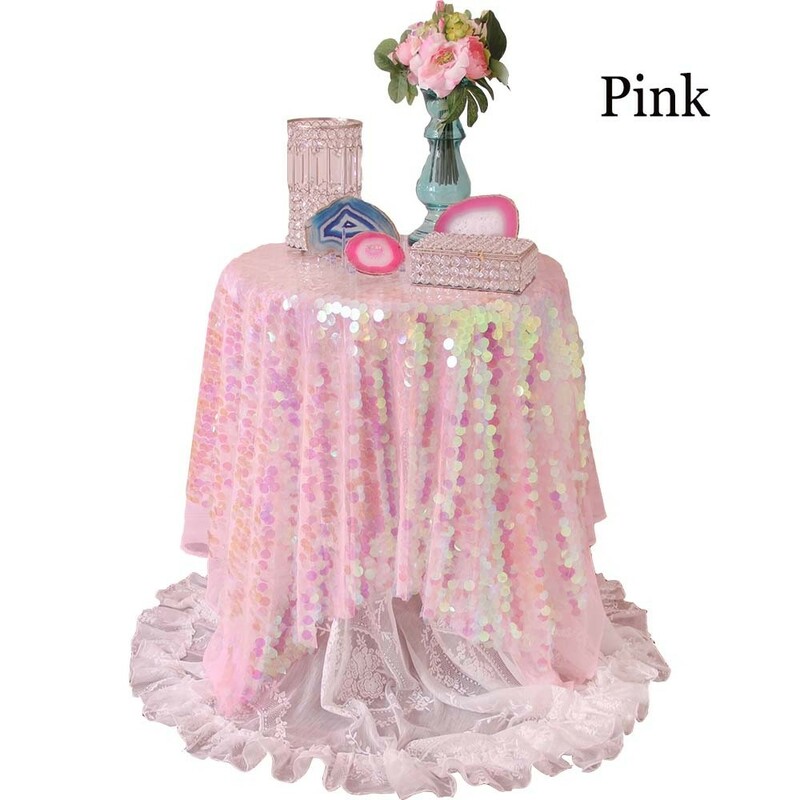 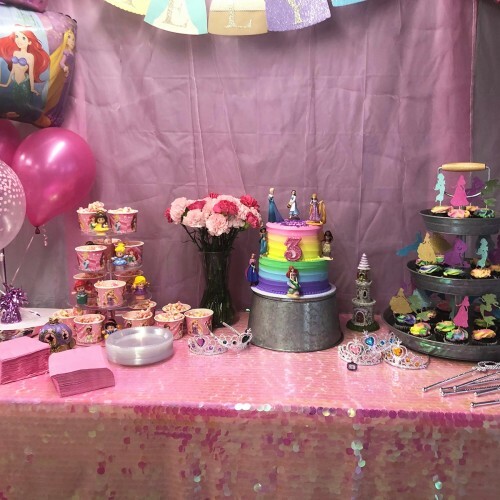 The main picture is pink. The sequins have pink/green tone. 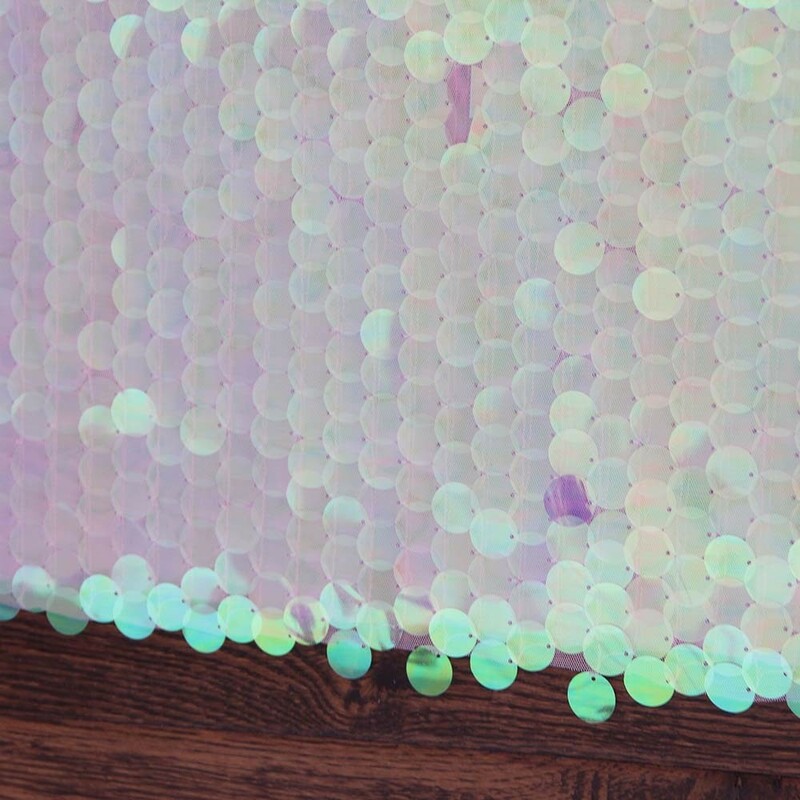 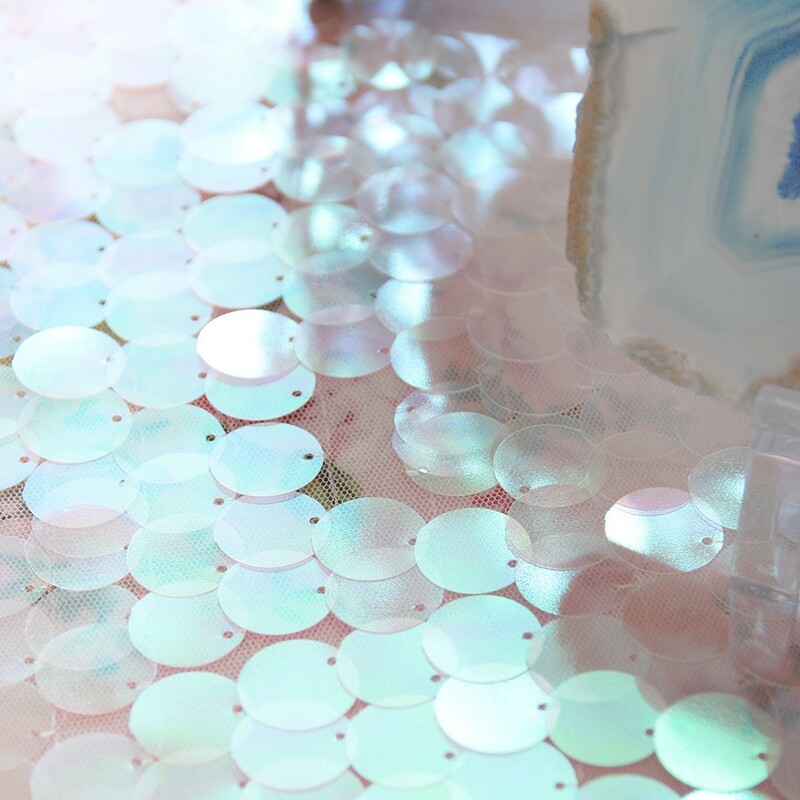 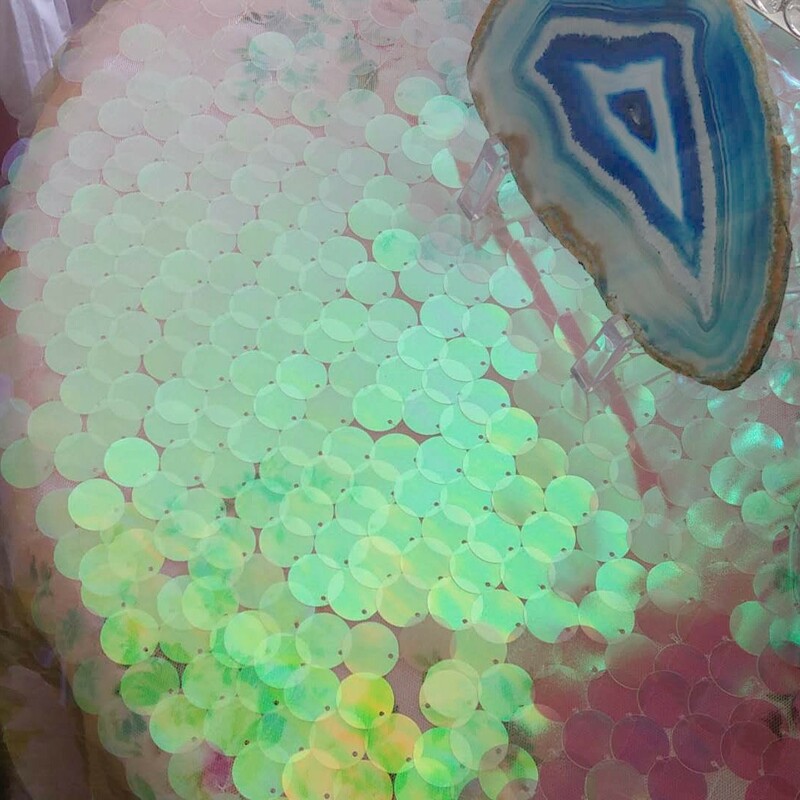 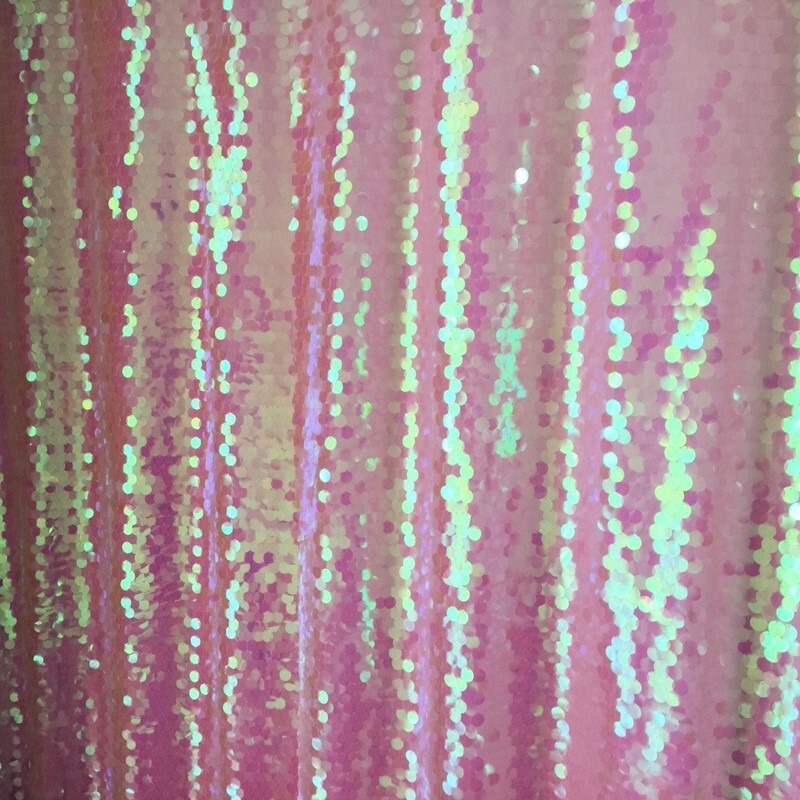 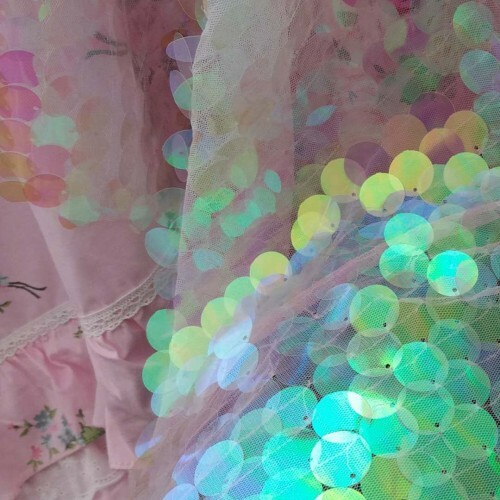 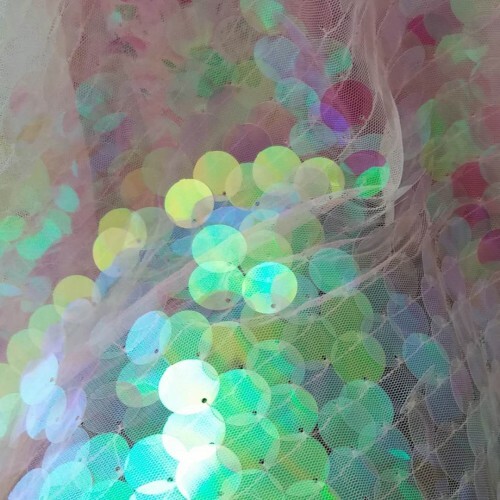 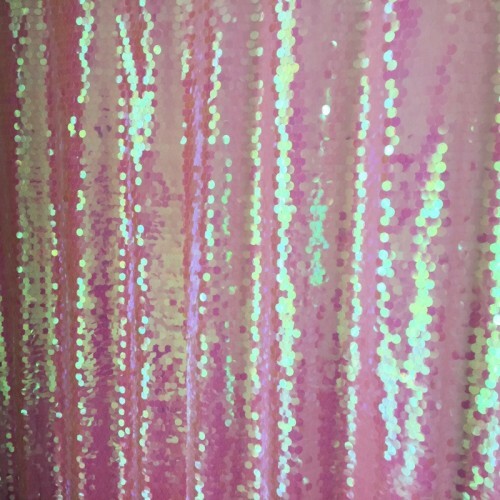 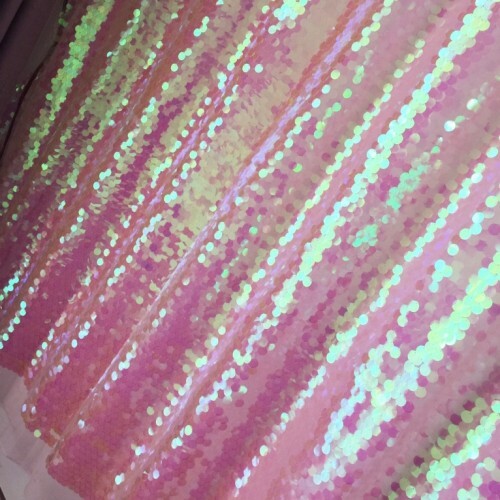 The sequins change from pink to green tone when you look at them from different angles. 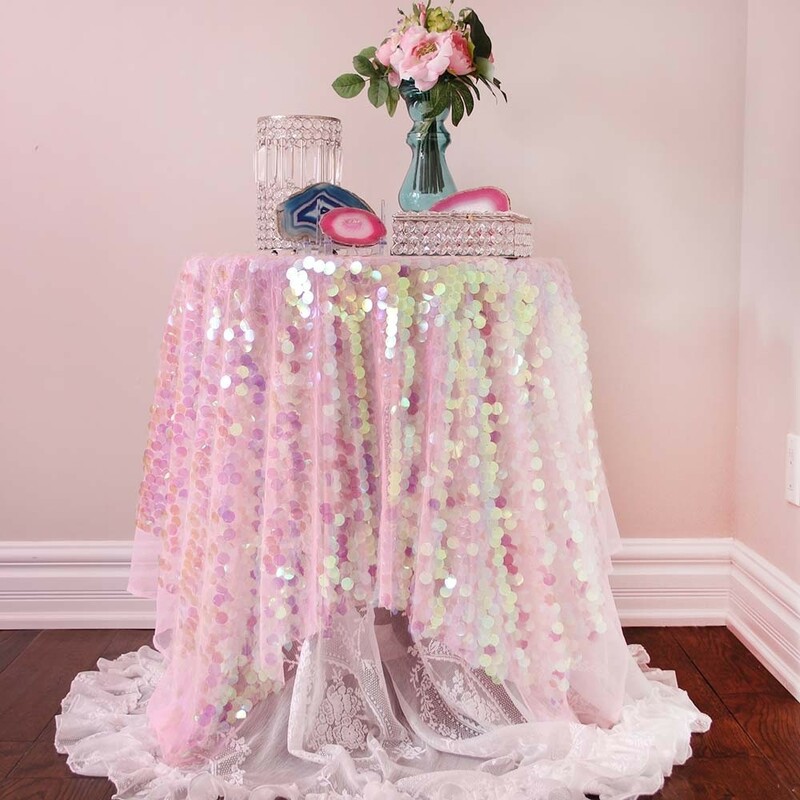 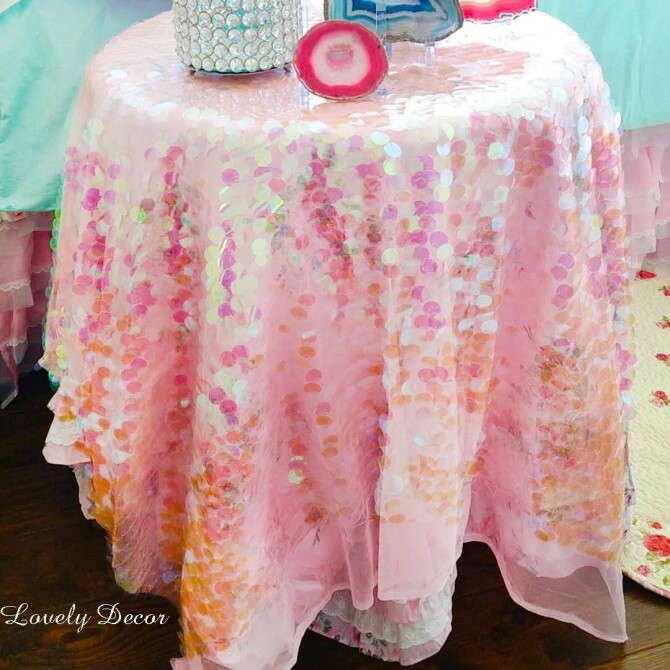 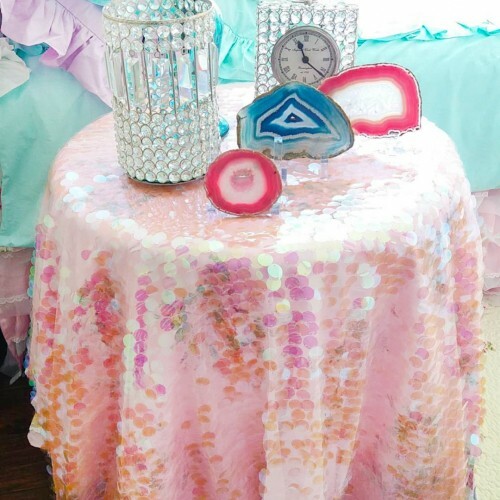 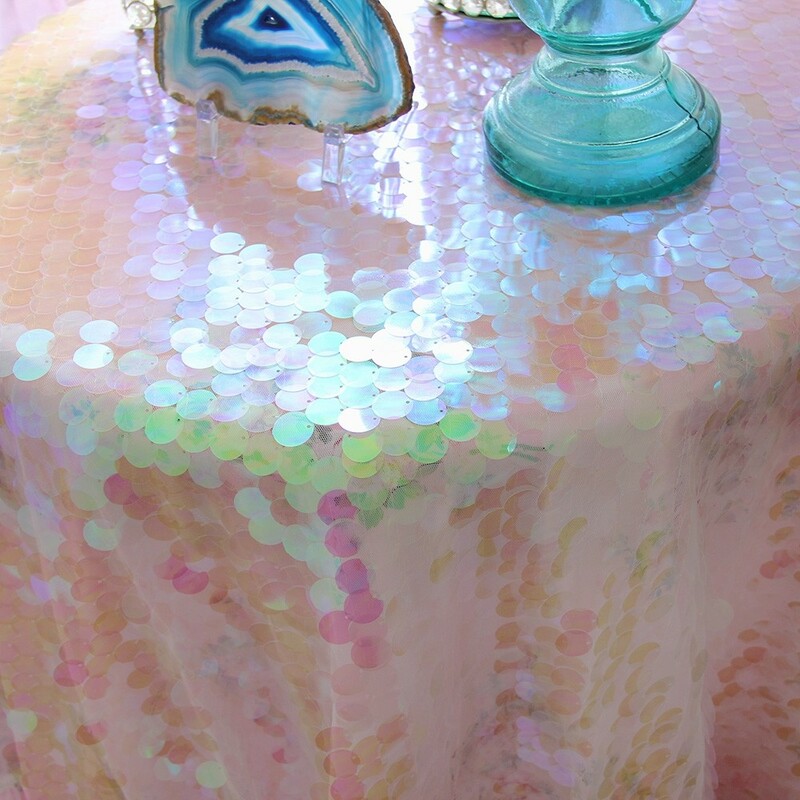 The fabric and sequins are a little transparent so you will see the table or the subject underneath or behind it. 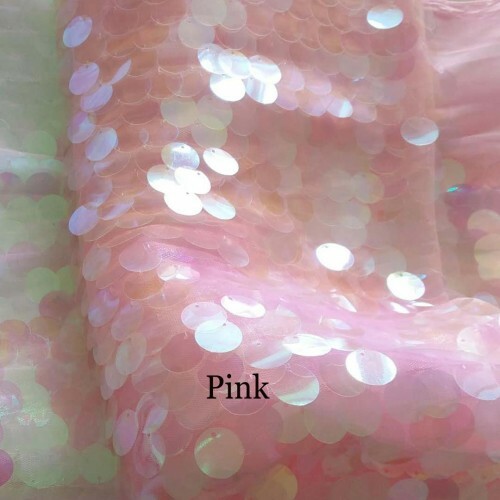 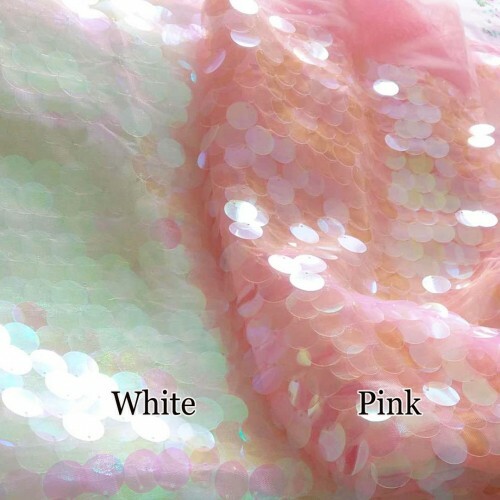 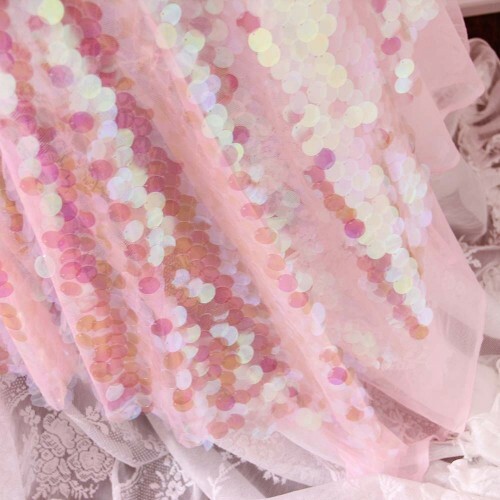 If you want the sequins fabric to look pinker, you can place a pink fabric underneath the sequin fabric. 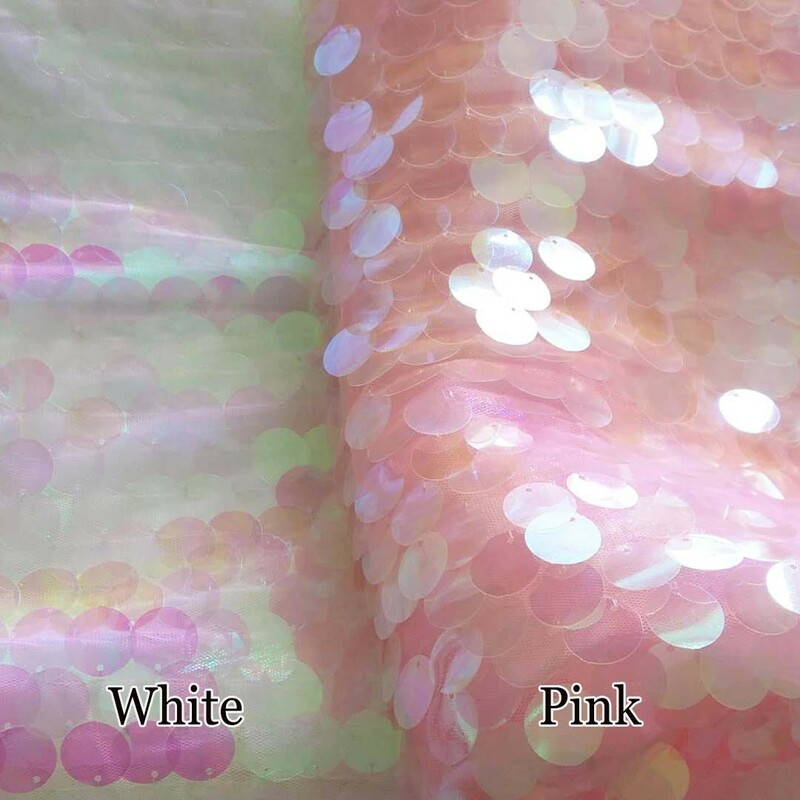 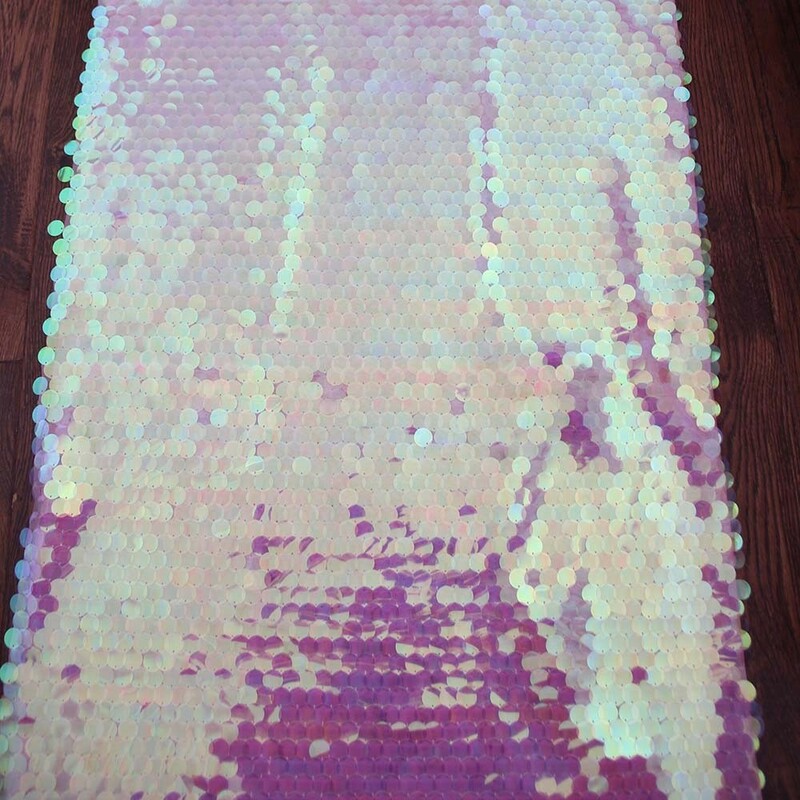 Length: This sequin fabric is sold by the yard. For example, if you order 3 yards, your fabric will measure 55 x 108 inches. If you order 2 yards, your fabric will measure 55" x 72". 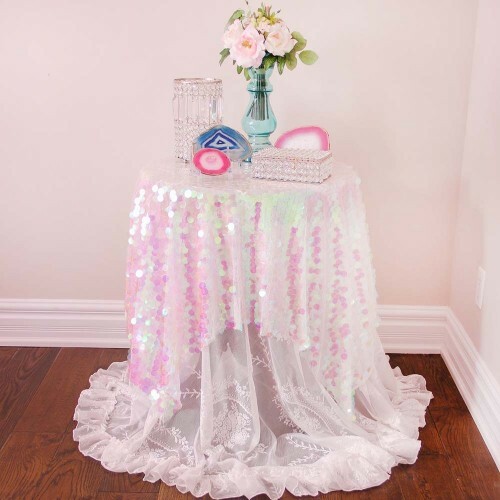 If you also need the star plates, please select "yes" in the star plate option. 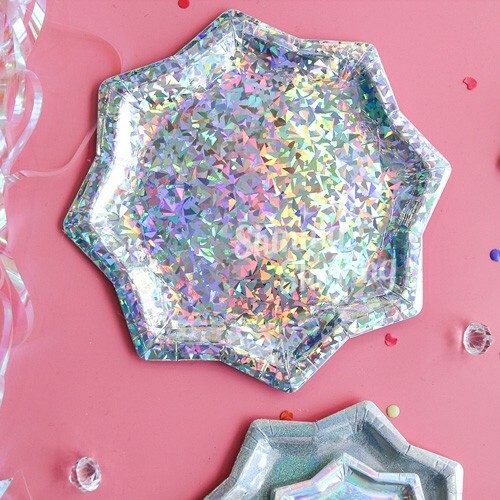 You will receive 24 star plates in large, medium, small sizes.